EE's new 'Swap' program lets its customers 'swap' (see what they've done there) their handsets to newer, shinier models after six months. 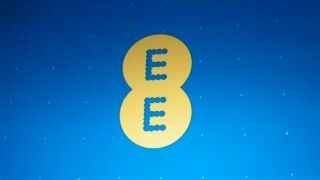 The launch coincides happily with the iPhone 5S launch, expected later today, allowing EE's 4G customers to upgrade before their contracts are up or they are tempted over to Voadfone or O2's new 4G price plans. Unfortunately, upgrading ties you into a new 24-month 4G plan, so it's not exactly flexible. The amount you'll pay to upgrade is dependent on what contract price you opt for. You'll also need to have an eligible device in your possession - and it'll need to be in full working order and undamaged so no scamming EE, you guys. The 'swap's can only take place in EE's high street stores, but that does mean you get to walk out with a new phone on the same day. It's a similar kind of set up to O2's Refresh option, but O2 lets you buy your handset over the course of your contract and pay off the remaining balance on the phone so you can upgrade the newer handsets when you get the itch. But we have a feeling at least one more device will join that line-up, say, tomorrow.